An Italian Town Fell Silent So The Sounds Of A Stradivarius Could Be Preserved The mayor of Cremona, Italy, blocked traffic during five weeks of recording and asked residents to please keep quiet so master musicians could play four instruments — note by note — for posterity. A security guard blocks off the recording area outside the Violin Museum in Cremona, Italy. Inside the concert hall of the Violin Museum in Cremona, Italy, Antonio de Lorenzi plays the prelude from Bach's Partita No. 3 on a Stradivarius violin. Cremona is the town where master luthier Antonio Stradivari crafted his storied instruments three centuries ago. But there's no guarantee that his instrument's inimitable sound will survive for centuries more, says Fausto Cacciatori, the museum's chief conservator. "What will these instruments sound like in 200 years? I hope they can still be played," he says. "But you never know. All it takes is one unfortunate event. An earthquake, for instance. Think about what happened to so much art during World War II." Cacciatori says Stradivarius instruments need a 21st century failsafe — and someone who understands music as well as technology to pull it off. "We have played with Chemical Brothers, with a lot of big artists during our career," he muses. When he's not spinning records, Tedeschi runs Audiozone, a northern Italian sound engineering firm. And he had an idea: "To bring the sound of Stradivari and make it accessible around the world," he says. The idea came to him in 2014, when he wanted to mix the analog sounds of Stradivarius violins in some of his own electronic recordings, but discovered the elements he needed were lacking. That's when he reached out to the Violin Museum in Cremona, just a 45-minute drive from his native Piacenza, with a proposal. First, they would need to record Stradivarius instruments, and while they were at it, those of other master luthiers. Then they would have to save the recordings in a database that future composers could use to make their own music electronically. The Violin Museum's most prized instruments are kept in a room known as the "Treasure Box." The Violin Museum, which was already concerned about preserving these sounds for future generations, agreed. It enlisted Lorenzi and four other world-class musicians from Italy and the Netherlands to play four prized instruments for posterity — the 1700 Antonio Stradivari "Stauffer" cello, the 1727 Antonio Stradivari "Vesuvius" violin, a 1615 "Stauffer" viola by Girolamo Amati, and the 1734 "Prince Doria" violin by Guarneri del Gesù. But their task wouldn't be to record complete compositions. Rather, they would have to painstakingly record every possible note that can be played on each instrument. "Every possible note, and even more difficult, every note transition," explains Tedeschi. "From one note to all the other ones in the same string. It's a very complicated process, so there will be several hundred thousand files to be edited." In the concert hall, Lorenzi, who is with the Italian Symphony Orchestra and has performed in the world's top concert halls, plucks the notes C, D, E, F, G, A, B and C — "do, re, mi, fa, sol, la, ti, do" — on the Stradivarius violin. Then down the scale, until the engineers say they've got it. 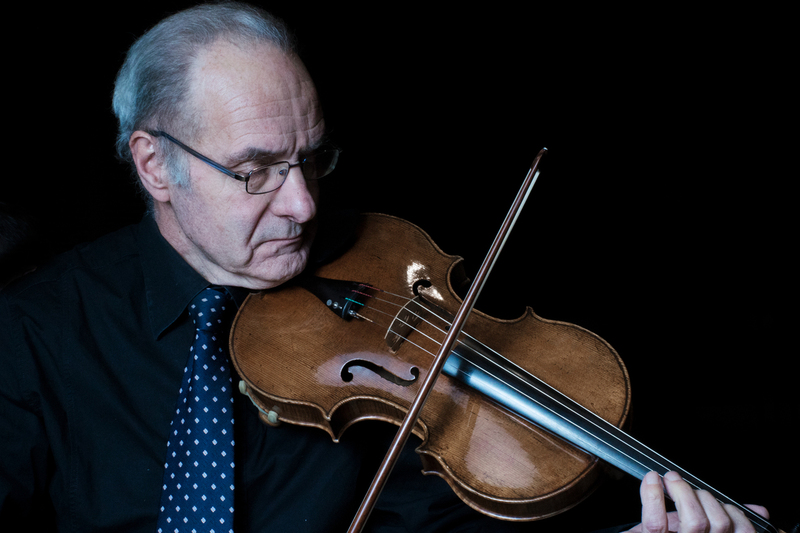 Wim Janssen, one of the musicians involved in the recording project, plays a viola made by master luthier Girolamo Amati in 1615. "There's something very meditative about it," he says. "It takes a lot of mental and physical concentration. It's one of the most demanding things I've ever done." But that meditative concentration is hard-won. Outside the museum, Tedeschi points out the thorn in his side. A rumble passes as a woman drags a suitcase across cobblestones. Then, the hiss of a street-sweeper machine. It's what you'd expect in a city of 70,000 people, with a bustling open-air market and a population of typically boisterous Italians. If they're close enough to the concert hall, the noise they make is audible to the 32 hyper-sensitive microphones during recording — and potentially disastrous. "Every time we hear this sound, the sound will mix with the frequency of our instruments, so we cannot use that sound in our product," Tedeschi laments. 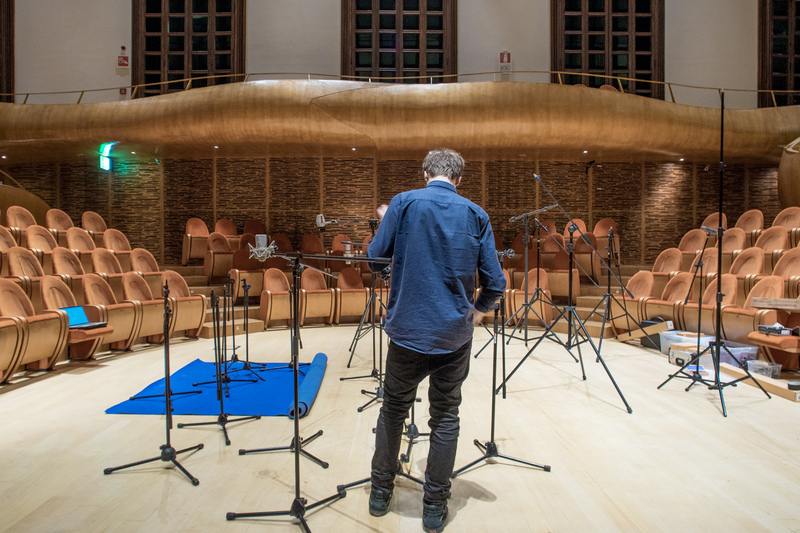 Andreas Rogge, a sound engineer with e-instruments, a German firm involved in the project, sets up microphones in the Violin Museum's auditorium. At the end of December, just before recording was set to begin, he went to the mayor of Cremona, Gianluca Galimberti, and asked for help. The mayor also happens to be president of the Antonio Stradivarius Violin Museum Foundation, charged with safeguarding and promoting the city's cherished legacy of stringed instrument-making. 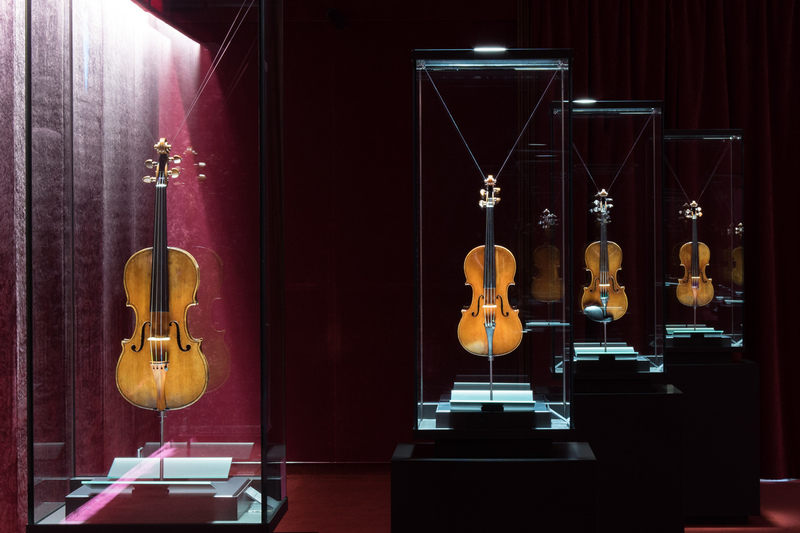 "They needed silence around the museum of violins," says Galimberti. "I think that we understood the importance of the project." 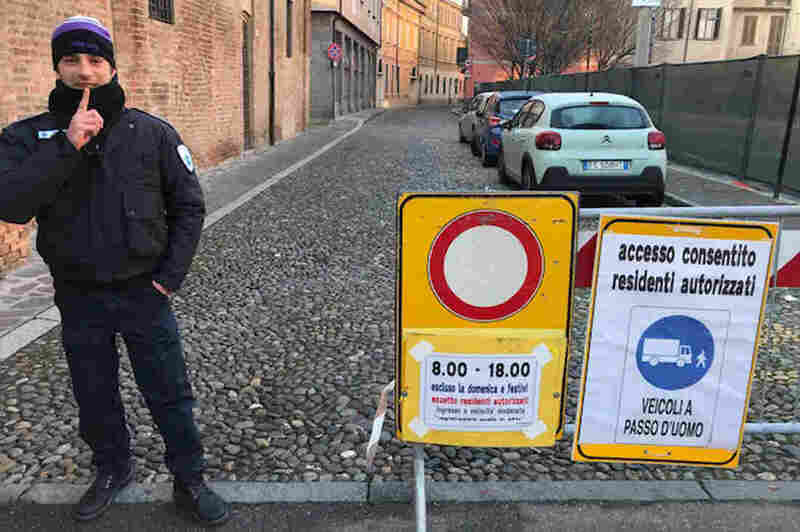 The mayor asked the people of Cremona to please keep it down, and blocked traffic around the concert hall during recordings from Jan. 7 to Feb. 9. On a recent winter day, a security guard stands watch beside a metal barricade. He greets me with a cautious "buongiorno" as I tiptoe past him, into the quiet zone. The silence washes over me. Try as they might, it's impossible to block out all the sound all the time, says Thomas Koritke, the chief recording engineer inside the concert hall. "You hear it. Let me just put this up, where they slam a car door outside," he says, as he plays back the recording of a scale played pizzicato on a viola. The sound of the slamming door is barely audible — but there it is on the second pluck, enough to contaminate the recording and throw off the musicians. After playing for eight hours a day, six days a week, for five straight weeks, the musicians finally wrapped up earlier this month. It's a level of devotion Antonio Stradivari would likely have appreciated. After all, attention to detail is what makes a Stradivarius a Stradivarius.